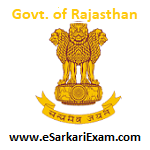 Eligible Candidates can Download RVUNL IA Phase II Exam Result at the Official Website of Deptt of Energy Rajasthan. Applicants First Logon to Deptt of Energy Rajasthan Official Website. Open Recruitment Link in Menu Section at Home Page. Open Common Recruitment for Various Post in State Power Companies. Select Informatics Assistant Post and Open Result Link.